Overcome your temple fatigue in Kyoto with a walking tour of the little-known alleyways of the Gion district. 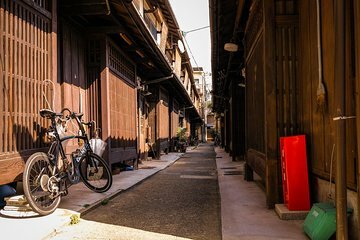 Taking you off the main tourist trail, the tour puts the spotlight on Gion’s most interesting "roji," the uncharted backstreets that are lined with traditional wooden houses. You’ll learn about the locals who live there and the artisans who work there for a glimpse of Kyoto’s true culture. As promised, Pierre, the guide took us on a long walk around the hidden alleys of Kyoto. No way that I will be able to find places like these without him. Restaurants, artisans shops, stores, geisha houses, you name it. Worth every minute.